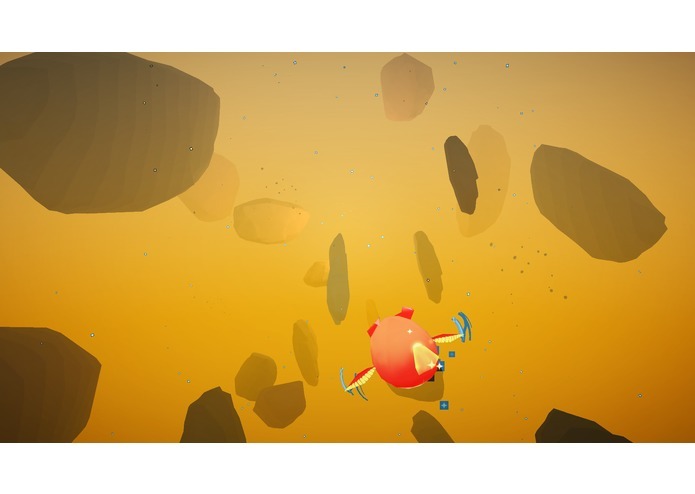 A simple endless runner representing a big metaphor and wrapped up in a beautiful environment. We wanted to follow the theme of the jam, “Resurrection”, but we wanted to be unconventional. Respawning was the first idea, but it was also something that anybody could think of. We thought we could do better. The first ideas went towards procedural generation. 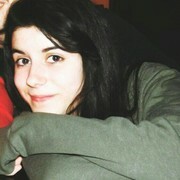 Resurrect as something different every time, maybe. But that would have just been a regular rogue-like. Then we thought about the elements of the game. We brainstormed and came up with the conclusion that characters and settings are a big part of what makes a game a GOOD game. What character can we associate to resurrection? And we thought: the Phoenix! And what settings can we associate with it? An endless fly towards the sun, to be able to resurrect from its own ashes. Ockham’s Razor. It’s so simple, yet so special. Simple characters, simple game mechanics. All of it wrapped in a beautiful environment and a fly towards what cannot be reached by mortals. Modern Daedalus and Icarus. 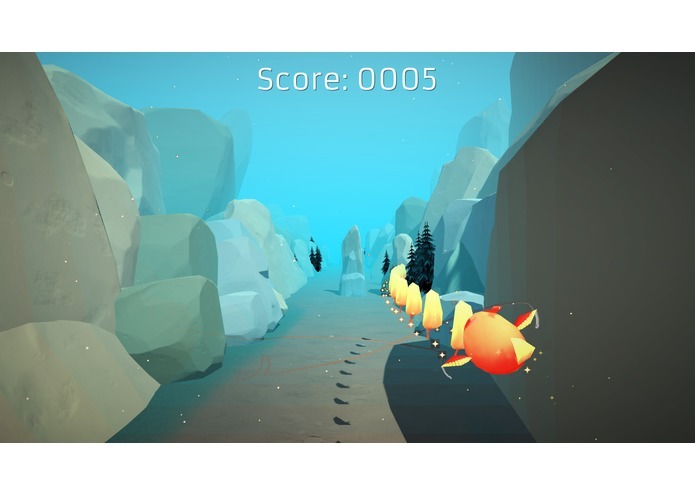 Phoenix Journey is a mobile procedurally generated endless runner game focused on the small details that make things great. 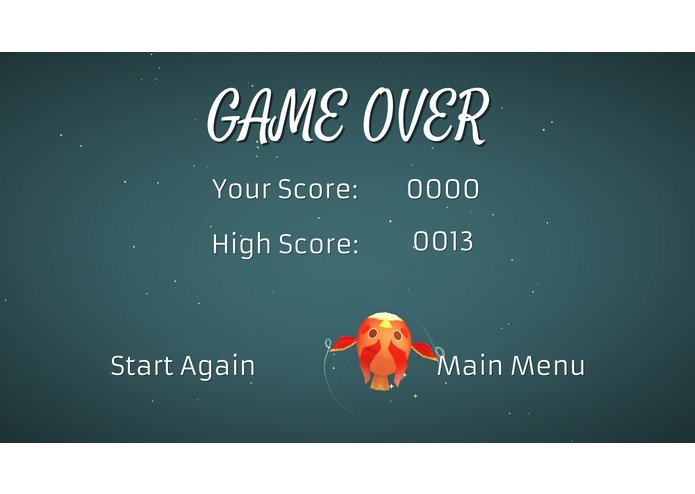 You play as the Phoenix and fly towards your goals, avoiding obstacles and dodging traps. In the meantime, you pick up what you earn in your path. Obstacles are inevitable at some point. As a Phoenix, though, you have a second chance. You can resurrect. Try to get to the point where you restore your life. But with a time limit. We broke down the main tasks and each one of us chose the ones that they preferred to work on. We kept a Spreadsheet with all tasks and bug to track. We set up a BitBucket repository to be able to cooperate and speed up our work. The biggest challenge we ran into was managing the time optimally in order to make up for missing one of our team mates! - who got sick on Friday night. We planned our tasks and organised our schedule to complete the project within the deadline, allowing a slot of time for polishing and debugging - which, we realised, was fundamental. A big challenges was coming up with an original idea and an entertaining gameplay. We had plenty of ideas but some of them, for a reason or another, were not feasible for a game jam. We still decided to aim high. In the end, we managed to complete our project, even if ambitious. 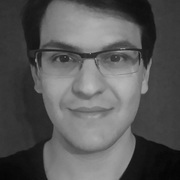 Another one of the challenges was putting up with the difficulty of more people working on the same Game Scene given that the project was set up in a repository. We split up our own changes into personal Test Scenes and our Game Designer managed to merge everything together. We are proud of having made a great team and also a game that we are happy with! We didn't know each others so agreeing on most things could have been challenging, but luckily we all had pretty much the same views! We are proud of having managed to complete the game, even if we considered it ambitious - aim to the sun! We learnt a bunch about version control! Some merges were hard to handle but we did it! Some of us didn't have experience with Unity and managed to contribute a huge lot. We learnt about animations and how important details can be. We learnt a lot about GUIs and Unity assets. We would love to develop the game further into many different levels! 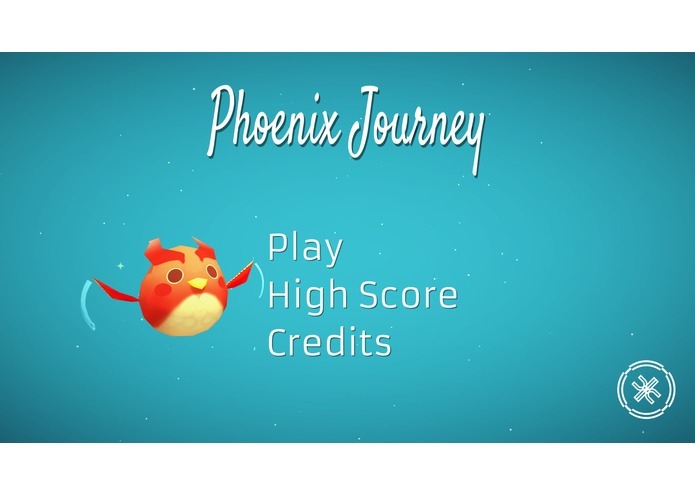 We think the PhoenixJourney has potential and Android/iOS are great platforms to support it.